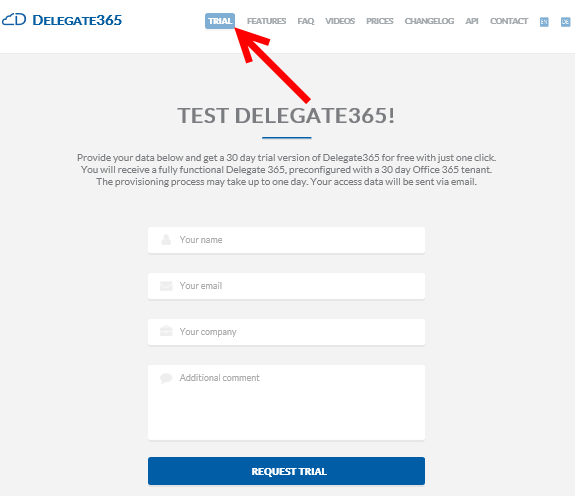 We updated the product website Delegate365.com and implemented some improvements there to support interested parties to inform about Delegate365 and to open a trial. 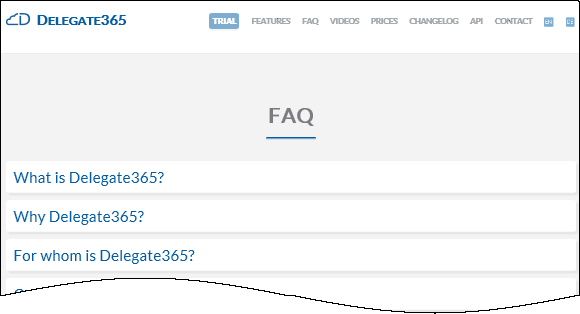 New Trial: We added added a new “Trial” button prominently to the menu to make it very easy to find the trial and to open a new evaluation version of Delegate365. The new form is also directly reachable with the URL http://delegate365.com/trial. In the trial form you just need to fill in your name, organization and company name. There’s also a field for optional additional comments – the same as before. After submitting the data with “Request Trial” we approve the request in the workflow and provision a new D365 tenant for you. This process may take up to one business day. New features list: We renamed the menu “functions” to “features” and added a feature list to that page. 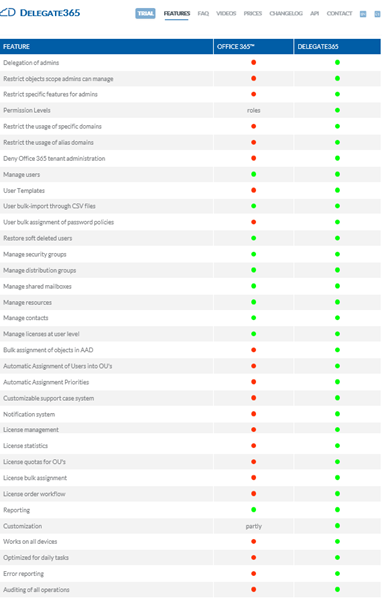 The feature list compares the Office 365 online portal with the Delegate365 management portal to get an overview at a glance. 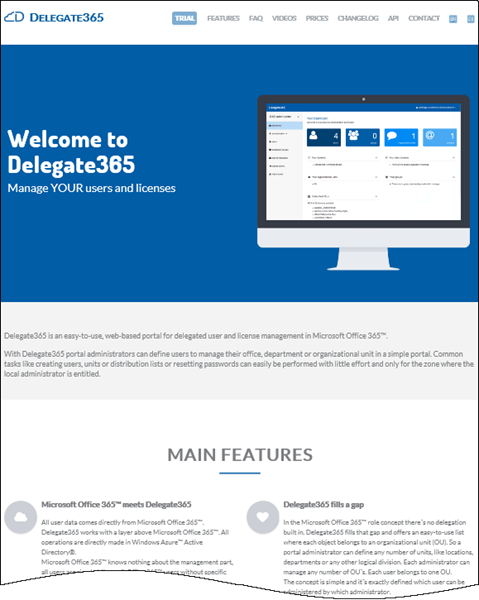 You get this page directly with the URL http://delegate365.com/features. New 404: We added a new “404, page not found” page with a hyperlink to go to the start page. …but could be disturbing on the detail pages, especially on small form factors. So we removed the blue banner from all subpages – except the start page which is accessible by clicking on the Delegate356 logo on the top left corner - to make the detail pages more readable. Now the pages start with the title and the content right below the menu. Some minor improvements and text adaptions. Hope you like our improved Delegate365.com website!